THIS PROPOSED NEW CONSCTRUTION HOME IN THE STUNNING RIDGE OF HAWTHORN WOODS SUBDIVISIN SITS ON A QUIET CUL-DE-SAC WITH VIEWS FROM THE BACK OF THE HOUSE OF THE SIGNATURE 18TH HOLE OF THE PRIVATE COUNTRY CLUB. STUNNING VIEWS OF THE GOLF COURSE WATERFALL AND LAKE, NEARBY NEWLY STOCKED LAKE FOR FISHING. THIS LOT HAS THE BEST VIEW AROUND! THIS CUSTOM BUILT HOME, DESIGNED BY HIGHLY REPUTABLE BUILDER, ICON BUILDING GROUP, COMES WITH 4BD, 4BA, PLUS 2ND FLOOR LOFT! 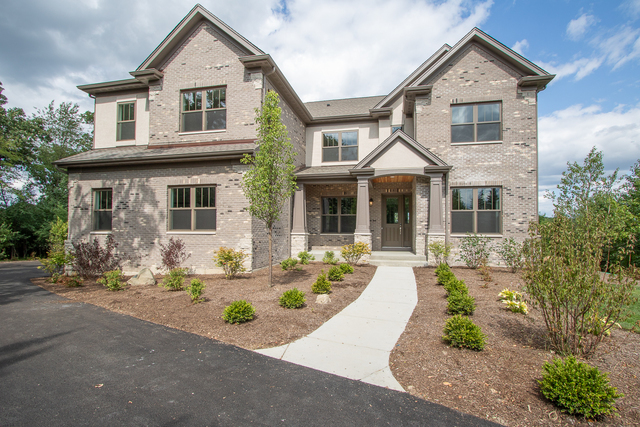 WALK TO LAKEWOOD FOREST PRESERVE AND MILLENIAL TRAIL AT THE END OF THE STREET WITH BICYCLE AND EQUESTRIAN TRAILS. CLOSE TO EXCELLENT SCHOOL SYSTEM AND NEARBY ENTERTAINMENT WHILE BEING SURROUNDED BY NATURE AND PROTECTED OPEN SPACE. DON'T MISS THIS CHANCE TO OWN ONE OF THE LAST REMAINING LOTS WITH ALL THESE BENEFITS!! I was searching on Blue Fence and found this listing. Please send me more information about 10 Golf Crest Drive , Hawthorn Woods, Illinois 60047. Thank you.